These days, everyone with more than a season of skiing or snowboarding under their belts wants to head for the backcountry. The “BC” is where it’s at - the pristine pow, the pillow lines, the majestic tree runs, and no one around to mar the experience but a few of your best friends, right? Important: You should always carry an avalanche beacon, shovel and probe when travelling in avalanche terrain and know how to use them. 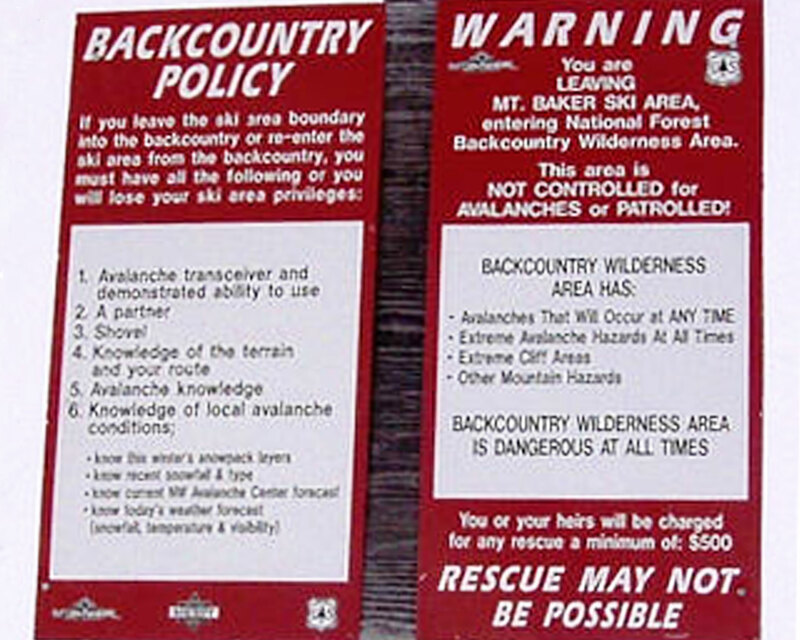 Backcountry travel requires an acceptance of the risks involved (avalanches are not the only danger) and implies a willingness to take responsibility for educating oneself about these dangers and ways to mitigate them. 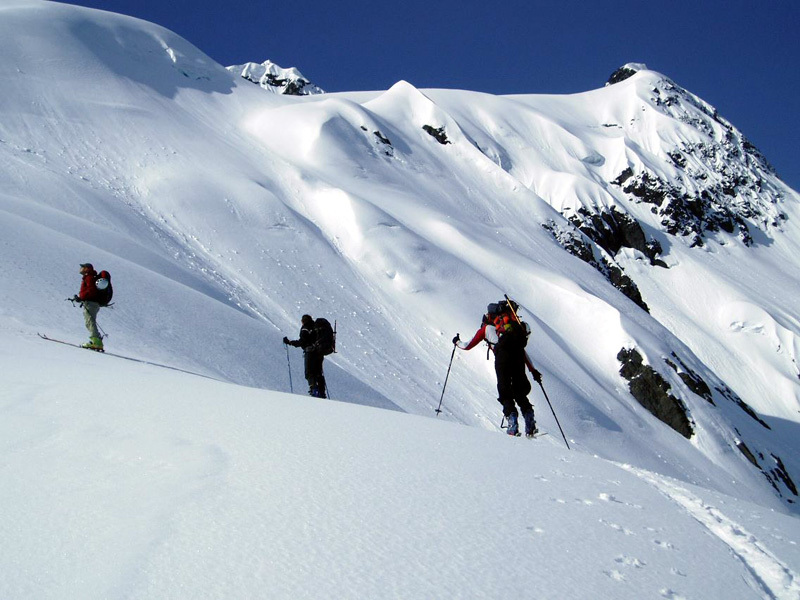 We recommend that backcountry travelers take an AIARE Level One class or the equivalent, and practice the skills they learn there regularly with their partners. What exactly are we talking about when we say “backcountry”? What are sidecountry, slackcountry, AT and randonnée? All good questions, since the distinctions are a little blurry, often confused, and the same people tend to pursue several of these types of riding, sometimes in a single day. You may have heard the terms “sidecountry” and “slackcountry” used to describe lift-served riding in a controlled area, accessed from the ski area. There’s some dissention among purists as to what constitutes which, but the one thing you must keep in mind is that skiing close to the resort, even if you entered through an open gate, carries the same hazards and risks as backcountry skiing anywhere else. For this reason, evo and the ski industry as a whole are eliminating the use of these terms of false safety, and so should you. Lift-accessed backcountry usually refers to taking a ski lift to get up the hill, then using any combination of booting, skinning and traversing to access your line. These are sometimes controlled areas that may require riders to carry a special card or show that they are equipped with beacon, shovel and probe and are with a partner. Access to these areas may require skiers or snowboarders to pass through a gate with obvious warning signage. Regardless of what kind of gate, signage, or lack thereof, this is backcountry riding and it subjects you to most of the same dangers of wilderness riding, even if they take place a lot closer to civilization. Don’t let the proximity of the lodge and patrol lure you into thinking there’s a guarantee of safety; it’s best to approach this type of riding with your full “backcountry” mindset. That means carrying your avalanche essentials - beacon, shovel and probe – knowing how to use them, making smart decisions, and riding with a similarly equipped partner. Avalanches do occur in controlled terrain even when the sign says “open”, and no patrol crew can assess every slope under their jurisdiction on a powder day, nor are they necessarily equipped for backcountry rescue. You’ll be ahead of the game if you think of anything outside of the ski area boundary as “backcountry”. Treat this as you would any other potentially dangerous terrain and be alert to signs of instability, terrain features, and weather changes. True backcountry riding normally begins somewhere other than a ski area and involves only human-powered ascent. No one “patrols” it on a regular basis for safety or snow stability purposes. That’s where touring, or “alpine touring” comes in (the French say “randonnée”). Using a combination of climbing skins, crampons and ingenuity, ski and snowboard tourers ascend the most difficult terrain you can imagine under their own power and slide down. It can be much more challenging than the mellow meadowskipping on fishscale skis that some people call “backcountry,” but it doesn’t have to be extreme. An alpine touring ("randonnée") setup can be an easier transition for experienced alpine skiers and allows you to use your regular, heels-locked style to descend - no granola or patchouli oil required. Splitboards (snowboards that split into two parts for ascending and reassemble for descending) are a great choice for experienced snowboarders who want to access the BC. 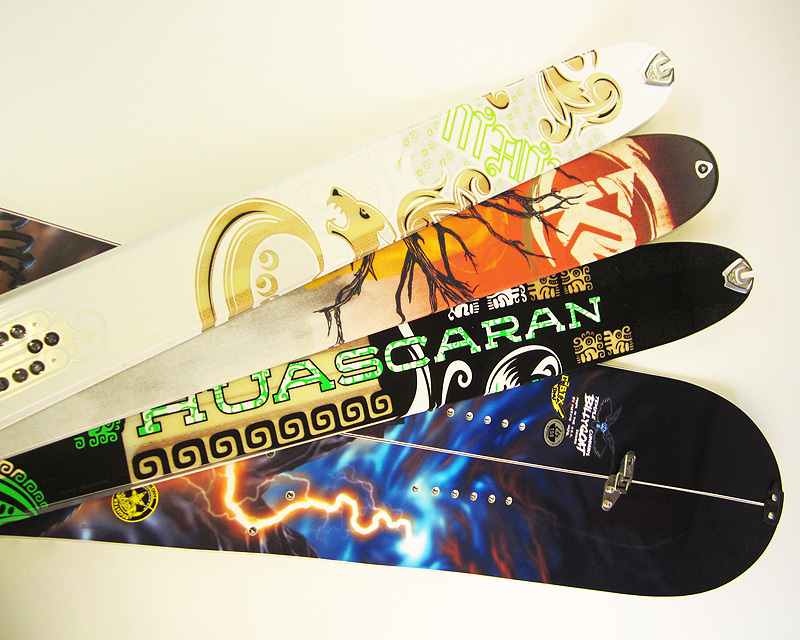 All of these choices have certain things in common: They have a binding that allows the user to lift their heels while climbing, and they use climbing skins that adhere to the bases of their skis or board to get grip while climbing uphill. Getting a backcountry ski setup could be as easy as mounting a pair of alpine touring bindings on your present skis and buying a pair of climbing skins, but there are definitely better options and much more you need to know to be prepared. Keep reading. Start by getting used to skiing untracked terrain in back bowls or inbounds terrain that requires some hiking before you head out any gates or into backcountry terrain. Once you are comfortably navigating this type of terrain, skiing or snowboarding with experienced friends in a lift-accessed backcountry zone is a good place to start. This will first require obtaining proper safety gear and education, which we will discuss below. 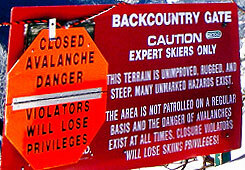 Lift-accessed backcountry terrain may have been assessed by experienced patrollers for avalanche potential who have done stability testing when necessary and sometimes thrown charges (explosives) or done ski cutting to minimize danger to customers. 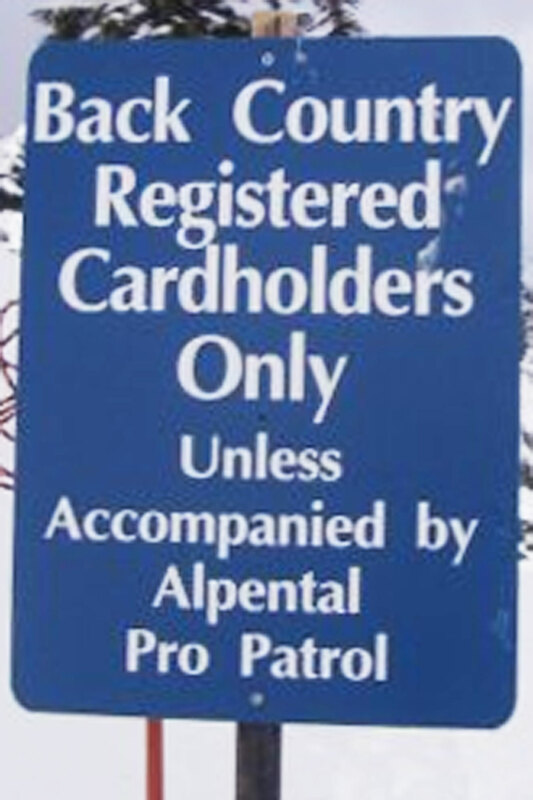 Depending on the ski area, it can also mean someone will come to your aid in a timely manner if you get hurt here. Although there is no reduction in danger, this is still the natural place to go to find hidden pow lines and progress your “wild” snow skills without going too far out into the backcountry. You can use your normal alpine ski gear or freeride snowboard setup for most lift-accessed backcountry riding. Getting to the lines might entail some booting or traversing, and very occasionally, skins. Add a pack, shovel, probe and avalanche transceiver to your gear quiver and learn how to use them – even if you’re technically still in the ski area, rescue response might take a while if you have a problem. Think about how hard it was for you to get out there; now imagine doing it while dragging a sled. Pay attention to closure and warning notices and follow the rules for entering only at specific gates – if a gate is closed, it’s usually for good reason. If you get deeper into the backcountry, away from any resort, you’re on your own, typically away from lifts, roads and trained rescue professionals. There’s no one here to tell you what to do or where to go, and no one to warn you when you’re being an idiot either. If you’re caught in an avalanche or hurt, ski area personnel are not obligated to rescue you. You and your partners should expect to take care of yourselves the best you can until other help arrives or you can extricate yourselves. If conditions are heinous, you can’t traverse over to the groomed cat track and take the green run down, you have to deal with it. If your equipment fails, it’s either fix it yourself or limp back to the car. I’m worried about avalanches, how do I know it’s not going to slide? You don’t. When you travel outside of the ski area boundaries, no one guarantees your safety from avalanches, cliffs, tree wells or getting lost and dying of exposure. That’s part of the deal, and for many, part of the appeal. Left or right, up or down, go or no-go, you and your partners will have to make the decisions and take the responsibility yourselves. Some people aren’t comfortable with this much ambiguity or having no one but themselves to blame. Some stumble blindly into the mountains without a clue to the dangers and protocol involved. We hope that if you’re venturing into the BC, you don’t fall into either category. If you live in the Pacific Northwest, you can learn more at www.nwac.us. If you live in avalanche country elsewhere in the US, you can locate an avalanche center near you at www.avalanche.org. Here’s a list of providers of avalanche classes nationwide that follow the AIARE curriculum. Just owning these tools isn’t enough – you’ll need to practice using them, preferably with people you’ll be touring with, to be effective with them in the event of an avalanche. 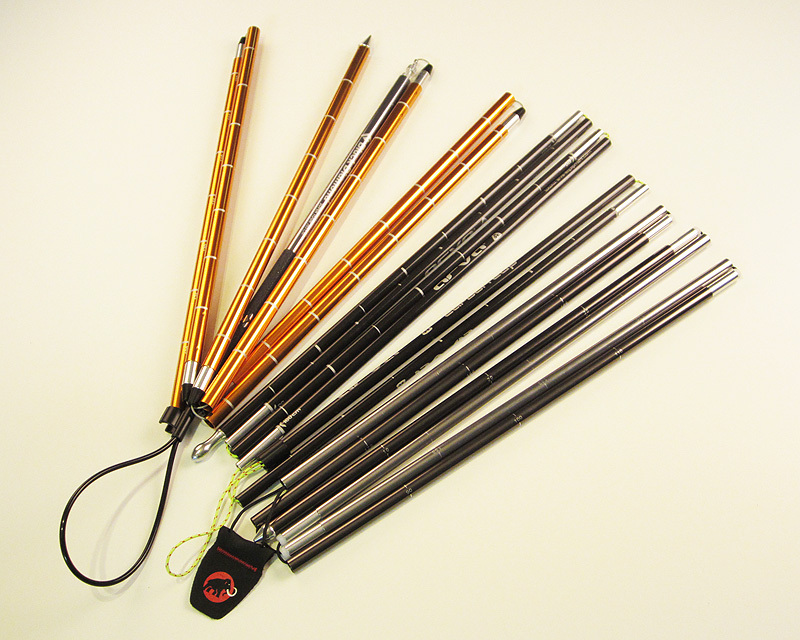 We offer a large selection of avalanche gear at competitive prices. AvaLung and airbag packs are new forms of safety equipment that have been shown to increase your chances of survival in an avalanche burial. The two devices work in different ways. The AvaLung allows you to maximize the available oxygen in the snowpack while expelling CO2 away from your face, and airbag packs inflate to keep you at or near the surface of the snow during a slide. Both have their place and more and more experienced riders are opting to carry these packs. We offer an excellent selection of both types. 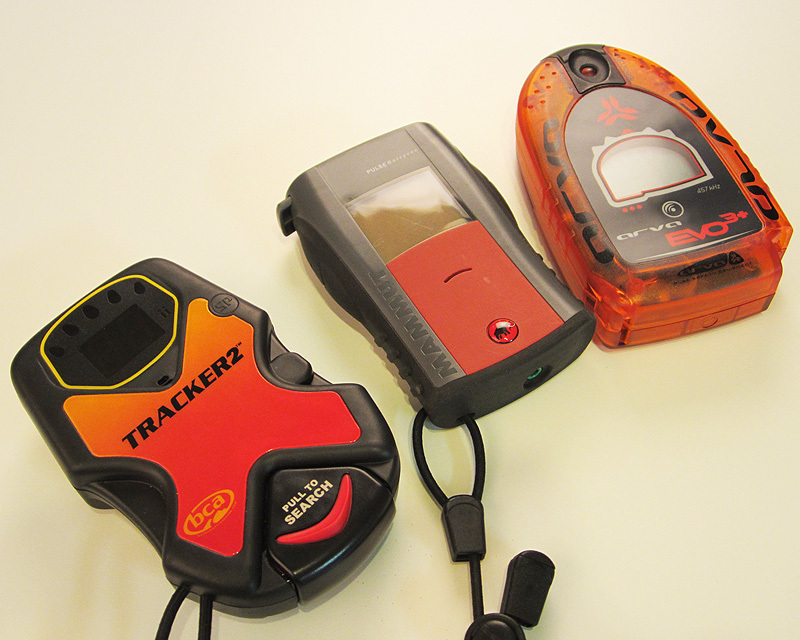 It is important to recognize that all of these pieces of equipment serve the purpose of aiding in the unfortunate situation where there is an avalanche and potential burial. This is not a situation you want to get into, and the most important thing you can do is avoid this situation altogether. Even with proper rescue technique, the chance of survival in an avalanche is very low. You must ask yourself, “would I ski this without a beacon, shovel, and probe?” If the answer is no, then you shouldn’t ski it with that equipment either. The most important tool you carry with you is your brain. If you thought you were serious about your alpine gear or freeride snowboard stuff, moving into the backcountry is going to be even more intense. You’ll need to have a firm grasp of how to use your bindings and skins (and splitboard hardware if you’re a snowboarder), and equipment failure can have serious consequences. You can’t just head down to the lodge and take your boots off if they hurt – there isn’t a lodge. If your skins won’t stay on or clump up with snow, you may not be traveling very far or fast. Clothes that worked fine for riding the lifts may be too hot for going uphill and not warm enough when you hit the summit. All of these are things to consider before you hit the trailhead. See our Backcountry Gear Checklist for a full list of suggested backcountry equipment. Climbing skins are your primary ascent tools in the backcountry. Getting quality skins that fit your skis or splitboard properly is a key to success in touring. If your skin hardware doesn’t fit, your glue doesn’t stick or your skins aren’t trimmed properly for your skis or board, you could be in for a frustrating day. If you’re spending most of your time in the ski area and hitting occasional lift-accessed backcountry lines, with only sporadic bootpacking to gain altitude, alpine boots might be fine. Once you start doing more than 20 minutes of skinning, technical climbing that requires crampons or scrambling on rock or ice, it’s time to start looking at a real alpine touring ski boot with a walk mode and lugged sole. Good AT boots don’t come cheap, and there’s a wide range of features, flex and fit. Fit problems can be amplified by touring, so it pays to get the right boot and deal with any issues before you head out. You also won’t enjoy skinning far without a binding that offers a free-hinging heel. Depending on your inclination, we offer many different alpine touring ski bindings in a variety of weights and styles, from heavy models that have full alpine retention and performance to fast-and-light models that require special boots and will let you fly up the skintrack. Backcountry or alpine touring skis aren’t necessarily any different than your normal skis – in fact, they could be the same pair. If you end up doing a lot of touring, though, you’ll want a pair of lightweight skis that offers good performance in a wide range of snow conditions. Touring specific skis often have the same profiles as alpine skis but leave out some material to save weight. They also may come with tip and tail designs that are meant to accept skins. We have lots. If you’re a skilled snowboarder looking to expand your horizons, a "split" may be the way to go. A splitboard separates into two parts like skis to let you skin up the hill, then is re-assembled with the bindings in a different position for the ride down. Splitboard bindings have free-hinging heels like AT ski bindings and splitboards use the same sort of climbing skins that touring skis do. Splitboards come both with and without hardware, bindings and skins, but you’ll need all of the pieces (plus poles) so read the descriptions carefully. 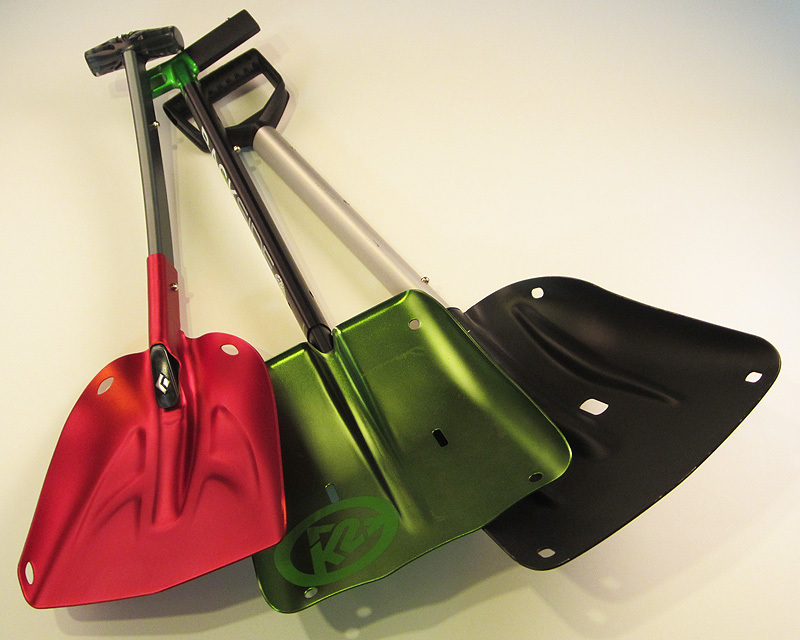 Whatever tool you choose, make a point of familiarizing yourself thoroughly with it before you hit the snow. Five miles from the car in a snowstorm at dusk is not the place to be trying to figure out your gear. New riders and those with limited soft snow experience should be careful not to dive into BC riding too quickly. Consider hiring a guide and start by gradually moving away from the groomed runs when there’s new snow until you’re confident in all kinds of conditions – even then you’ll probably be amazed at how difficult backcountry riding can get at times. The BC community is a tight-knit but not unfriendly group of people who are generally happy to share their knowledge once they get to know you. 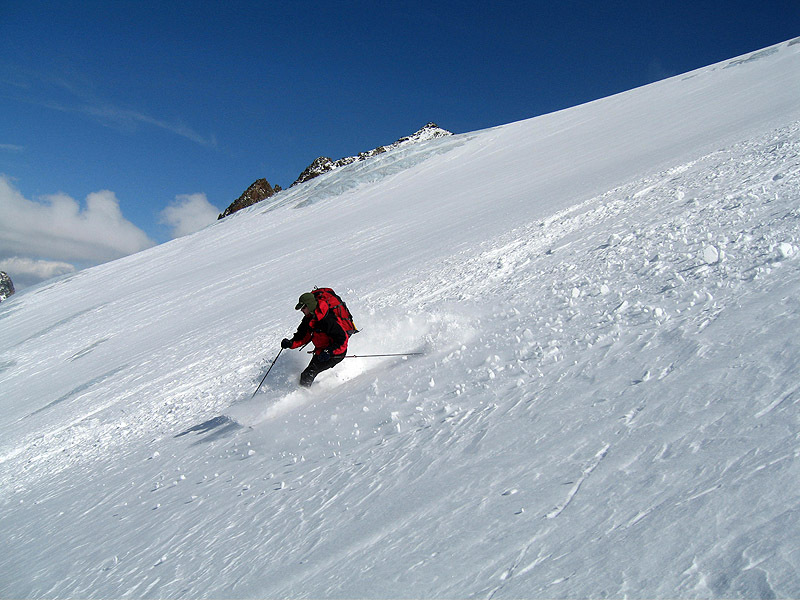 Taking an Avalanche Level I or introduction to ski touring class or joining in on online ski forum discussions is a good way to meet people, get ideas for trips and hook up with touring partners. Just showing up at common touring spots and demonstrating that you’re a fit and amiable companion sometimes works, too. There’s no time to start like the present.